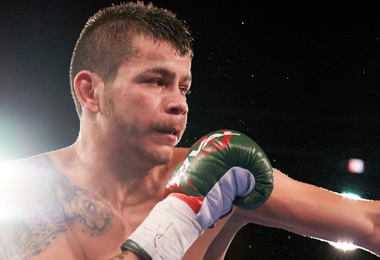 Moises “Chucky” Flores learned the fight game growing up in Guadalajara, Mexico, and spent the early years of his professional career building up his resumé in his home country. Now established as a title contender at 122 pounds, Flores looks to climb to the top of the division with his considerable talent. He is Super Bantam Weight Interim World Champion.